Is an Industrial Designer with specialization in Furniture and Interior Design from National Institute of Design, Ahmedabad with an overall professional experience of 15 years. 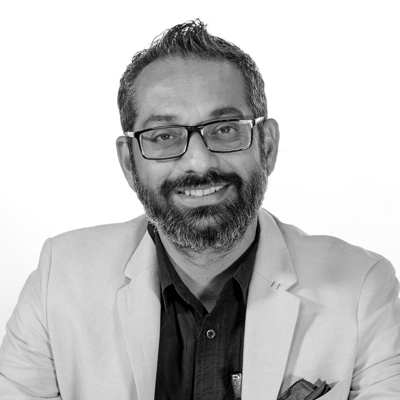 He has worked for various high profile Architecture, Interior and Event Design Projects, Boutiques and Retails stores in India and Italy. In 2006 he started working with ‘Grottini Srl.’, a leading Italian Retail Design company in Portorecanti, Italy. After gaining rich experience in Designing and Executing Retail Stores around the world, Solanki joined “CRS Strategic Designs” in Torino, Italy as a CEO. He returned back to Delhi to set up the Furniture Manufacturing Company for the CRS. He has shown great expertise in setting up luxury furniture units, sourcing, production, execution and cost cutting. With all his rich experience he was invited to teach at National Institute of Design, Ahmedabad in 2013. He Heads the Furniture & Interior Department and teaches Space Planning, Retail Store Design, Design Detailing, Construction & Fabrication and Design Management. He also looks after restoring the classic prototypes at NID which were designed by world class designers. Solanki was also a Jury member for India Design mark and visiting faculty for various Design schools. He travelled to South Korea for the World Bamboo Congress in September 2015 and some of his contemporary designs are part of the permanent display at the World Bamboo Museum in Damyong, South Korea. He had developed an expertise in designing Bamboo Hangers and furniture, few of which are curated at Chattrapati Shivaji Museum, Mumbai and were featured in India Design Story (2017) by Design Temple which was open to the public for a month. His work has also been featured in esteemed design magazines like Architectural Digest, IFJ, and Architecture Update. He has given a new direction to the Bamboo craft and craftspeople through his design intervention and his love for Bamboo is commendable. Pravinsinh is also the founder of Scrap Design Innovation through which he inspires people to Reuse, Reduce and Recycle. He’s conducted many courses and workshops in India and abroad to educate the masses about conserving resources and create Wealth out of Waste. Recently Solanki completed a very innovative project working on Demonetised Rs 1000 and Rs 500 unfit currency notes with Kusters Engineering from Netherlands. Pravinsinh is also the Head of International Centre for Indian Crafts which works on Craft documentation, skill development and design innovation in Crafts. His works are well published in different magazines, newspapers and on television.